EVENTFFOTO specialises in event photography primarily (all encompassing, no particular theme), modelling and portraiture shoots. We are based in Wrexham North Wales however we will travel to undertake assignments anywhere in the UK. We are geared up with Canon Pro and use Profoto / Calumet lighting equipment, which is completely portable. A "studio" can thus be set up at any venue. We have multiple background supports. We're happy to undertake assignments on any theme .. interested especially in lifestyle, beauty/hair, fashion, editorial, branding / marketing, commercial. We will consider adult work subject to receipt of further detail of what it entails. We work with all sizes, shapes, creed and culture. No boundaries. 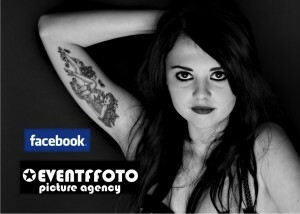 We are adept in producing starter model portfolios for inspired newbies .. If that's you get in touch.